How to Change your Money Relationship to Achieve your Dreams - Women and Money Inc.
« Christmas Gifts: Should you go with a Handmade Gift or Store Bought? You have big dreams, you know things need to change, but you just can’t seem to get out of the money rut you’re stuck in. You’re not sure what you’re doing wrong or how to fix it. Well you should know, your current financial position is the result of your “money relationship”. The deeply entrenched feelings you have towards money, probably subconsciously, are driving those money habits you can’t seem to quit. Let’s take debt, for example. It’s easy to provide a simple formula for getting out of debt: Make more money + spend less = pay off debt and prevent new debt. But it’s much more complicated than that, unfortunately. Your money relationship – your emotions surrounding your money patterns – is what lead you to debt to begin with, and will lead you right back again. But this is not a doomsday message, rather this is encouraging news. The first step is admitting you have a problem, and understanding WHY. The second step is re-forming your money emotions and habits to reflect your new perspective and goals. You have the power to change your money beliefs and alter your money patterns into a new, healthy money relationship, one that steers you towards wealth. 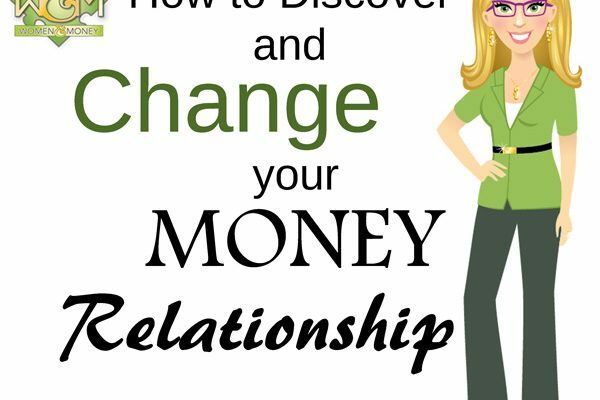 Learn how to change your money relationship. First: Analyze — What is your money relationship, and why? What were your parent’s actions regarding money? Were there any traumatic incidents surrounding money? How much did you know about your family’s finances? What messages were you taught about money? Did you receive an allowance, were you required to do chores for it? Did you have a savings account and taught to save your money? When did you start to pay for your own things? Did you have a job as a teen? What happened to the money earned? When was the first time you acquired debt? How did it make you feel? Did money influence your choice of school and/or career? Did religion influence your perspective on money? How has your childhood affected your own money relationship? Do you equate money and spending with love? Do you believe that wealth accumulation is for rich snobs, and you need to be down-to-earth with your finances? All of this experience created the money relationship you have today, whether you are a borrower, a lender, a saver, or a spender, and if you are rich or poor. In what aspect is your money relationship unhealthy, and how can it be improved? Many people who manage to get themselves out of debt, find themselves back in debt again. And many people who win the lottery eventually end up in the same financial situation as before winning. Why? Because although their finances changed, their money relationship did not, their attitudes and beliefs remained as before and took their finances back to the way they were before. As you retrain your brain with repetition, visualize your ideal outcome. Think about what you want your money relationship to look like, and what you want your financial situation to be. Try to feel the way it will make you feel. How will you feel when you have no debt? When you have more than enough money? When you don’t have to worry about money, and enjoy managing it? Be positive, and imagine that you already have what you desire. By visualizing and feeling positive emotions around your new beliefs, you are linking good feelings to the new beliefs. Another effective method to try, is visualizing the negative feelings around your old money beliefs. How does it make you feel to be in debt, to not have the money to buy things for yourself and your loved ones? The power of your thoughts will integrate your goals into your brain, and you will act in ways that help you achieve the goal without thinking. You will have a new belief system. 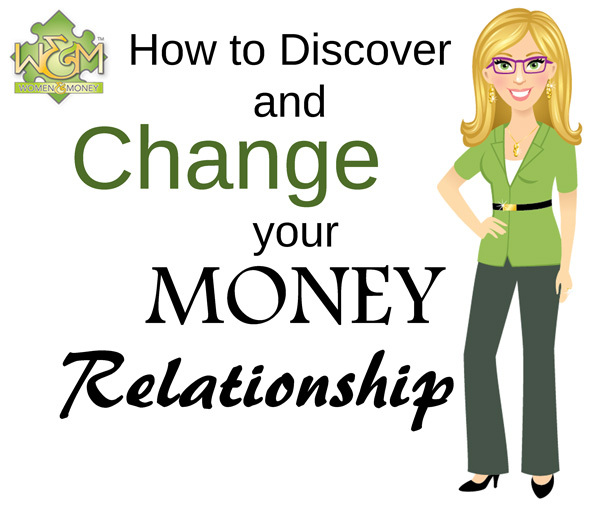 Now that you have defined your new money relationship, create a plan to make it a reality. Create a very specific goal with a deadline, decide what you will be willing to give to achieve the goal, and outline specific steps to take towards achieving the goal. Summarize your plan into a short statement and read it to yourself twice a day. Begin with an easier goal to gain confidence in this process. Once you have achieved the goal (or change what goal you want) start over with a new one. It takes effort and time, but by analyzing your money relationship and consciously creating a better one you will be well on your way to achieving your financial dreams. This entry was posted in Blog, Personal Finance, Women and Money and tagged financial self help, money habits, money relationship, personal finance. Bookmark the permalink. Both comments and trackbacks are currently closed.